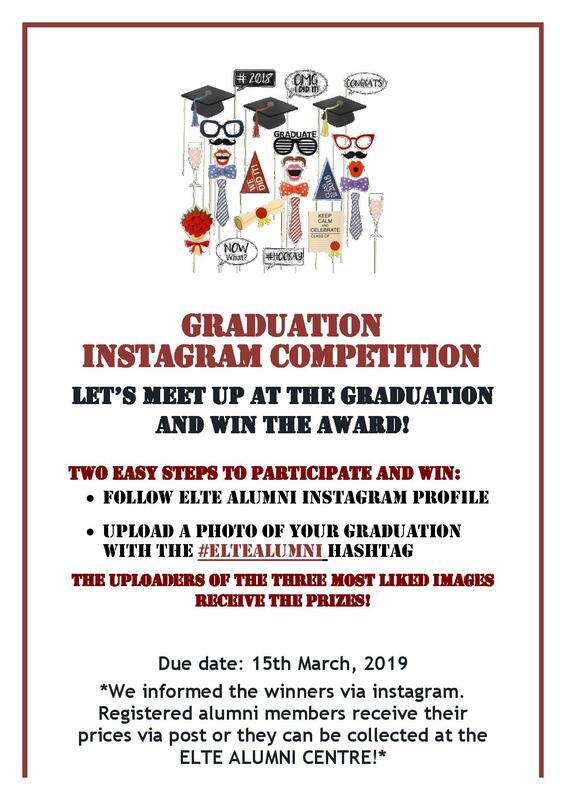 For the occasion of the upcoming graduation ceremonies ELTE Alumni Centre announced the Graduation Instagram Competition and invite all to participate for the great prizes. *We can either send the gift-set by post to those winners, who already registered as an alumni (or pre-alumni) or it can be personally picked up at the Alumni Centre. We will inform the winners by 15th March 2019 via an Instagram message. We are looking forward to your images!